Today, when you order "Higgins Brothers Beanbag Set", you'll instantly be emailed a Penguin Magic gift certificate. You can spend it on anything you like at Penguin, just like cash. Just complete your order as normal, and within seconds you'll get an email with your gift certificate. Higgins Brothers Beanbag Set (Multi-Colored) Great for all skill levels! Buy the Higgins Borthers Beanbag as a set of 3 and save! If you need an extra ball or have moved on to 4 or 5 ball...we also sell them individually! 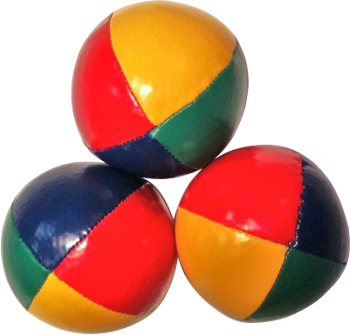 They're just really well made juggling balls that will laast you a good while.